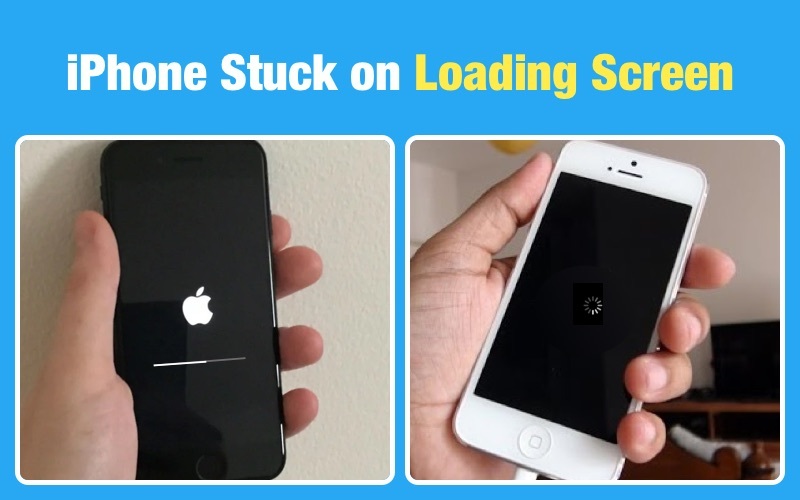 There are a lot of iPhone users who report that their iPhone is stuck on the lock screen. This often means that the screen can become completely unresponsive. On a device that responds to touch, this means that you are unable to use the device in any way. While most users who have reported this problem use older iPhone models, it can happen on just about any iPhone. Don't let this problem frustrate you. This article will share with you a number of solutions you can try to get the screen responding again. If forget the passcode of our iPhone and stuck, just go to remove iPhone passcode with iPhone Unlock Tool. Try powering off the device by pressing the Sleep/Wake button until the slider appears and turn it off. When you turn it on again, the screen may become responsive again. A force restart another way you can easily refresh the device and get it working properly again. For iPhone 8 and newer iPhone: Press and quickly release the volume up button. Then press and quickly release the volume down button. Press and hold the sleep/wake button until you see the Apple logo. For iPhone 7/7 Plus: Press and hold the power and volume down keys in unison till the Apple logo appears. For iPhone 6s or earlier model: Long click the home button and the sleep button till the Apple logo appears and the device restarts. Whether your iPhone is stuck on the Lock screen, the Apple Logo, recovery mode or the black screen, Tenorshare ReiBoot offers a solution that can get you out of these problems without risking your data. This tool has a wide range of tools and functions that you can use to eliminate many of the problems you may encounter with the device. Despite its amazing functionality, this tool can also be very easy to use. All you have to do is connect the iPhone to a computer after installing ReiBoot to the computer and the program will detect the problem and present the solutions you need. Step 1. Run ReiBoot on your PC and connect your iPhone to your PC using a USB cable. Now click on "Repair Operating System" after your device is detected. 2. Click "Start Repair" to download new IPSW file to software repair. Restore with iTunes can also help you solve the iPhone stuck on lock screen issue. But it will erase all data on your iPhone. Before restoring, you can free backup your iPhone using iCareFone. Step 1: Run iTunes and connect your iPhone with your computer using a USB cable. Step 2: Tap on your device icon appearing on the upper left corner of the iTunes interface. After that, click 'Summary' from the left corner. Step 3: Click the 'Restore iPhone' button to restore your iPhone. Your Lock screen is really the window into your device. Here's how you can customize it further. You can access the control center right on the lock screen. But if you'd rather not go to Settings > Touch ID & Passcode> Enter your Passcode and Turn "Control Centre" and "Allow Access When Locked." You can also turn off notification and prevent them from appearing on the screen. This will prevent confidential information from just sitting on your Lock screen for anyone to see. To do that go to Settings > Notifications and then tap on a notification and switch off "Show on Lock Screen." If you don't want to see all the news like weather and upcoming calendar events on your lock screen, go to Settings > Touch ID & Passcode > Enter your Passcode and scroll down to find "Today View" to turn it off. Although Apple Pay access on your Lock Screen can be a very good thing, sometimes you may not need it to be present on the lock screen. To do that go to Settings > Touch ID & Passcode. Enter your passcode and then find "Wallet and turn it off." For an iPhone stuck on the lock screen, one or all of the above solutions can help you fix it. Let us know if you are unable to get the device working again or if you encounter another problem. Just comment below!